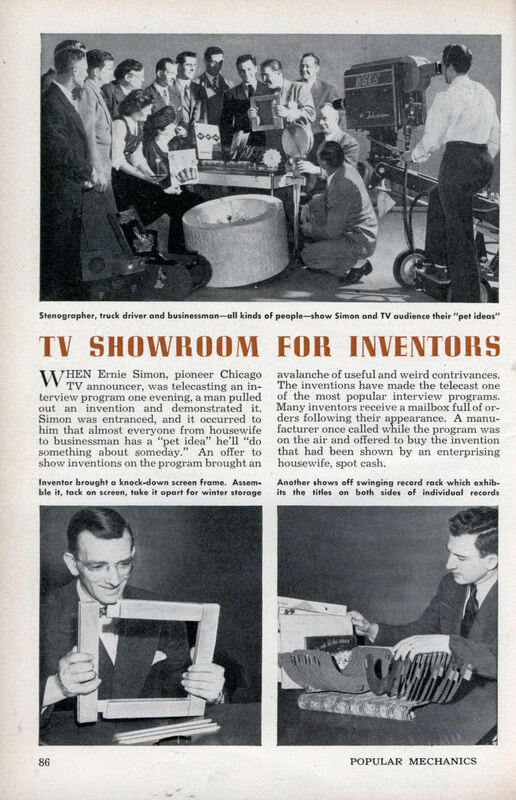 WHEN Ernie Simon, pioneer Chicago announcer, was telecasting an interview program one evening, a man pulled out an invention and demonstrated it. Simon was entranced, and it occurred to him that almost everyone from housewife to businessman has a “pet idea” he’ll “do something about someday.” An offer to show inventions on the program brought an avalanche of useful and weird contrivances. The inventions have made the telecast one of the most popular interview programs. 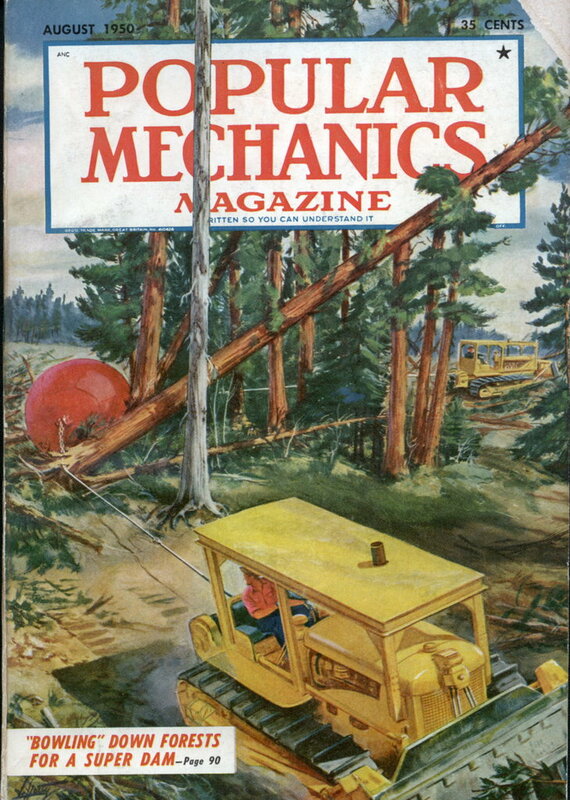 Many inventors receive a mailbox full of orders following their appearance. A manufacturer once called while the program was on the air and offered to buy the invention that had been shown by an enterprising housewife, spot cash. And today we have a nationally televised show, American Inventor I think it’s called, to do the same thing. Carbide-tipped saw blades are ubiquitous these days. And that record holder looks an awful lot like those holders they sold through K-Tel commercials in the 70s.